You speak and I obey. 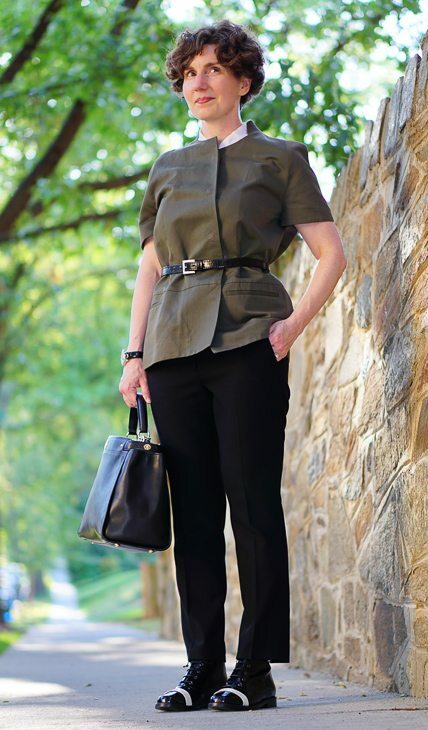 Here I am fashioned for fall, with cropped pants made of lightweight (but lined) wool and ankle boots. Fall in love with the boots! 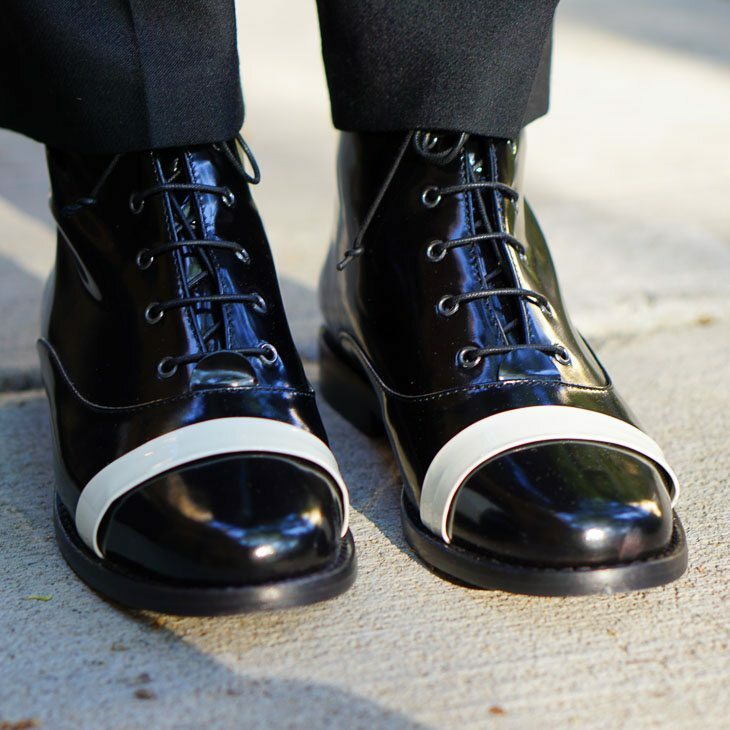 These boots are made of glossy calf leather and decorated with a white band across the vamp. Why the white band? 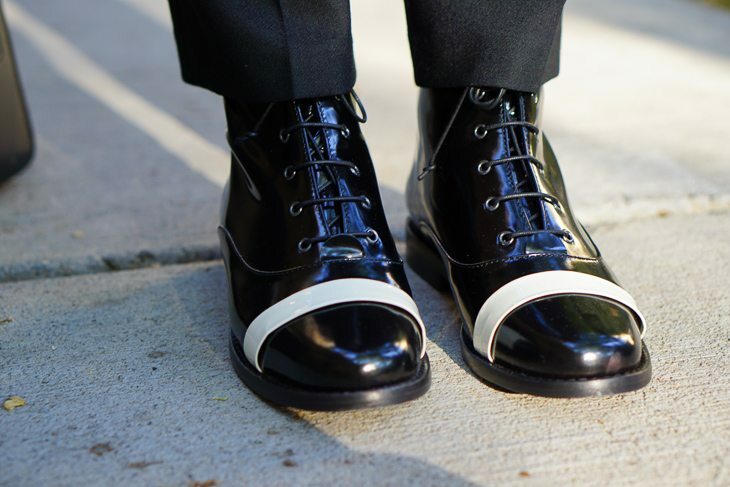 I have no idea, but this little zip of white makes the boots. 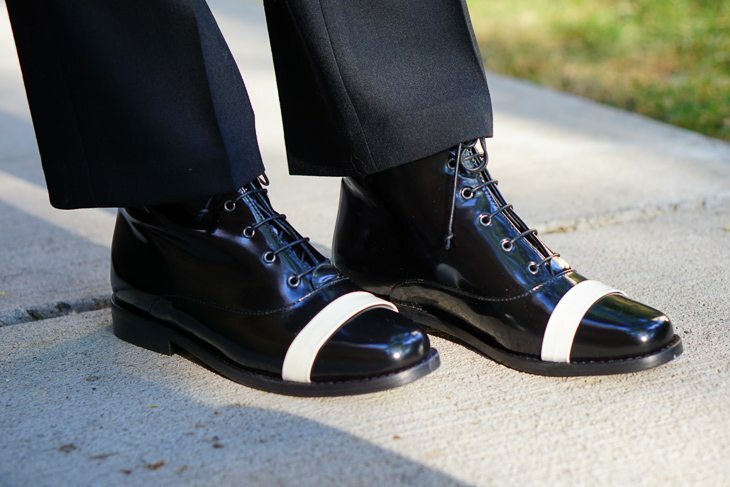 Admittedly it also makes the boots less versatile, but that’s hardly disqualifying in light of their undeniable appeal. 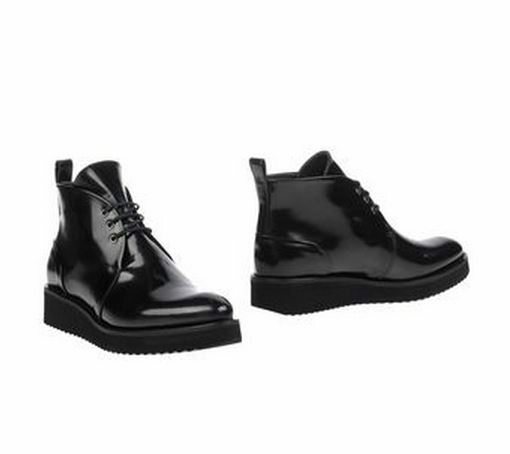 I’ve never had a pair of short boots like this before and despite my generalized love of assertive footwear, I had thought that boots of this height would look awkward with my clothes. I got the idea of wearing them with cropped pants from You Look Fab and I think it really works. 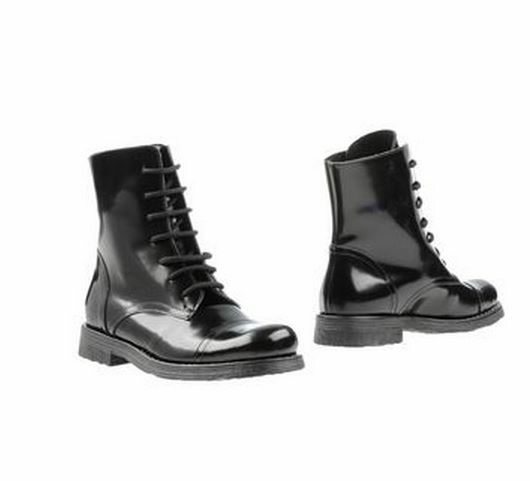 In my quest for boots, I ordered several pairs of boots from YOOX and loved all of them, but couldn’t really justify the acquisition of four pairs of boots. 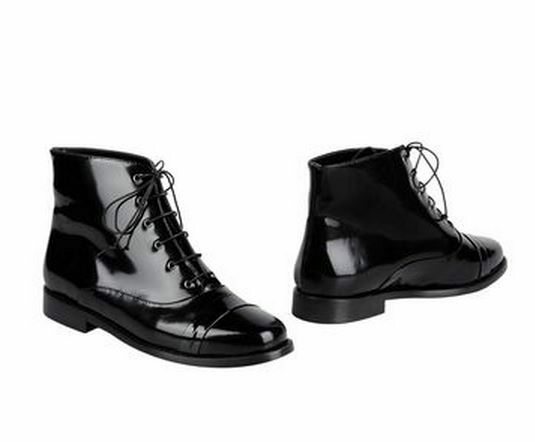 Here are the contenders, in case you are looking for boots. So, thank you to Jodie, Sharla, Kate, and Hope for sharing your ideas! I apologize for not showing the jacket unbelted, but it was terribly wrinkled from previous belting. I hope you can visualize how it would look unbelted with skinny pants based on these pictures. 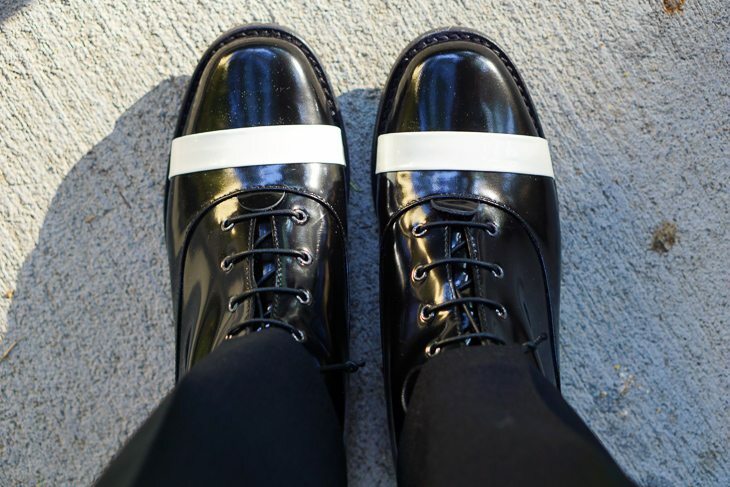 Directrice’s mother – what do you make of these boots?! These boots make my heart sing in appreciation! Love the combo! Why, I see them with tights and pencil skirts, jeans and Safari jackets, colored or patterned pants with a crisp white shirt – they are divine! The stripe of white is cheeky! Very cool outfit Directrice. Your boots do deserve flowers and chocolates, though I think they are more assertively stating so than coyly suggesting. 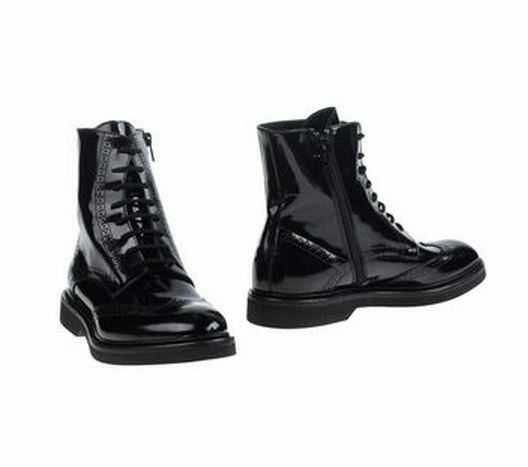 I purchased a crackley black and silver pair of lace up ankle boots recently and have been enjoying them. I thought they are like the grungy Dr Martens of my university days in the early 1990s, but prettier and lighter on the feet. I’ve worn mine with black skinny jeans and with tights and skirts too and felt all in my 20s again. Your style is very adorable. I like the feminine but strong and stylish vibe. I think I might be wearing too many florals lately. The boots are a hoot! I like them the way you are combining them with the other elements of your outfit. Your blog is a joy! 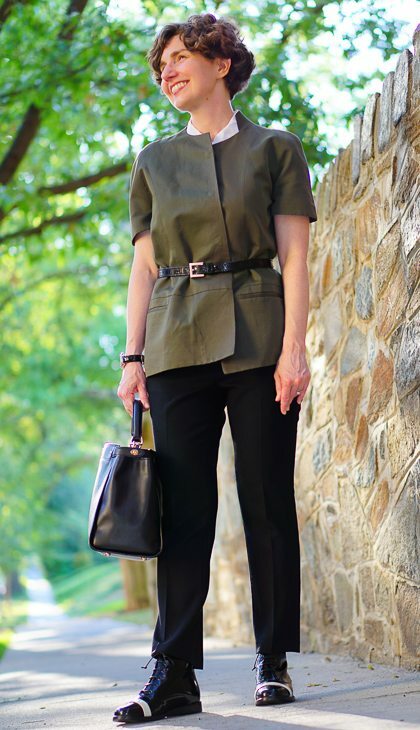 That white stripe is so great — like a cap-toe without committing to the full block of color, and adds just a little bit of lightness and polish like the white blouse collar peeking out. The two accents bookend nicely with each other. Love that the boots are a bit badass and androgynous, too, it’s a fun counterplay to the rest.